KRB Music presents iTrax- a flexible, multi-key accompaniment method that fits your needs! Each iTrax CD includes printed lyrics and a demonstration (not original artist), plus accompaniment in high, medium, and low keys, each with and without background vocals. 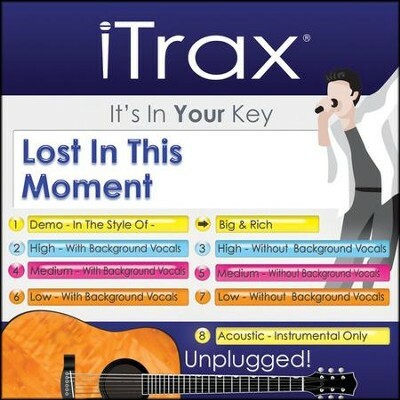 Exclusive to iTrax, each CD also includes an "unplugged" acoustic rendition of the song, instrumental only. I'm the author/artist and I want to review Lost in The Moment, Accompaniment CD.